Accommodation 2 nights in our tents, kayaking equipment, instruction and 2 days sailing. Price BGN 90 for a minimum of 12 people! Transport, meals, shawls and tent bags, optional hut accommodation and all additional services offered by the GodZilla- 131 Project which you can order extra. 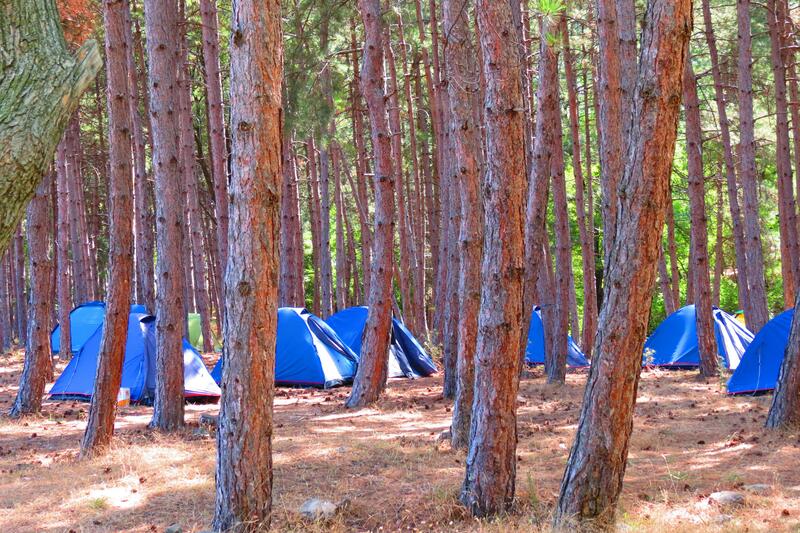 Tents in a picturesque area with a fresh water near or in a hunting lodge with facilities in rooms of two. The camp and sailing in this water basin allow you to enjoy unique scenery and nature. The area is very rich of wild mammals and birds. Meetings with deer, hams and prawns are frequent and exciting, rabbits run through the meadows, the hedgehog grows in the grass, and a wide variety of birds, including vultures, are dripping over our heads. Rowing begins with a little more effort, we can reach the Conway Falls and the cold pool beneath it along with the beautiful bay they are hidden in. We can explore the rocky canyon of the Perpereshka River and see the high nests of the vultures.